Nearly 60 million households (approximately 300 million people) in India are un-electrified (Ministry of Power, Government of India, June 2016). The majority of this large under-served population relies on kerosene for lighting, which is unhealthy, polluting and expensive. This lack of modern energy services also severely limits educational and economic opportunities, as well as negatively impacting day-to-day quality of life. A number of modern solar lighting technologies have emerged globally over the past decade. Solutions based on these technologies are cost-effective, robust, and use small amounts of energy. 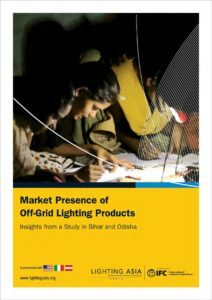 In spite of this, the market penetration of solar lights in India is low at between 5-8 percent. 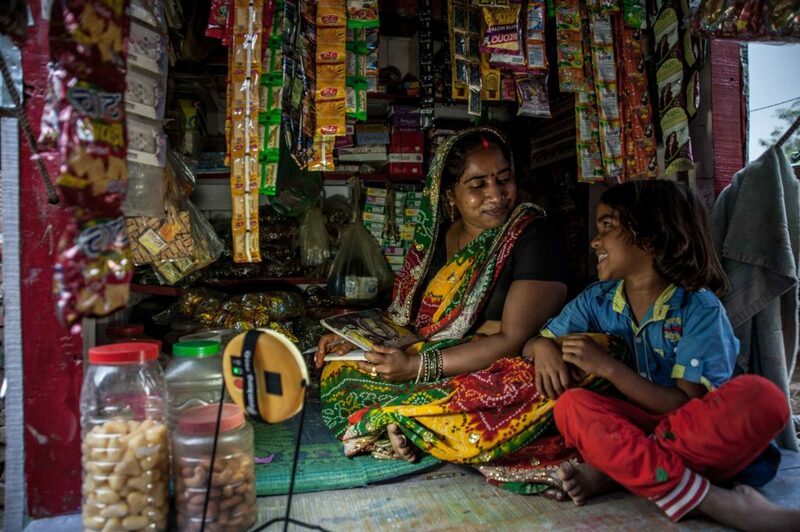 Lighting Asia/India is an IFC program aimed at increasing access to clean, affordable energy in rural India by promoting modern off-grid lighting products (lanterns and home systems) and solar powered DC appliances. In partnership with the private sector, the program focused on strategies to remove market entry barriers, provide market intelligence, foster B2B/market linkages and raise consumer awareness on modern lighting options in select geographies. 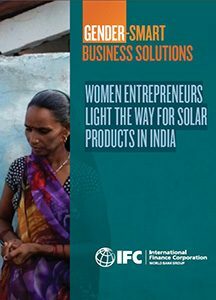 Phase I of the Program (2012-2016) was implemented in three states: Bihar, Rajasthan and Uttar Pradesh in partnership with 12 private sector clients in the solar lanterns and home system market and enabled access for more than 8 million people. The program also worked with mini-grid players and pay as you go companies to develop their business plans and scale up strategies. A new phase of the program will be launched soon. The program is designed to build a market for quality solar appliances through a multi-faceted approach: it works with manufacturers to test their products, supports distributors to penetrate untapped markets, and engaged with consumers and retailers through awareness campaigns. Quality Assurance: IFC/World Bank developed an international quality assurance framework for off-grid lighting products. This testing method been adopted by the International Electrotechnical Commission (IEC); product testing laboratories exist across the world including at The Energy and Resources Institute (TERI) lab in New Delhi, the first in South Asia. 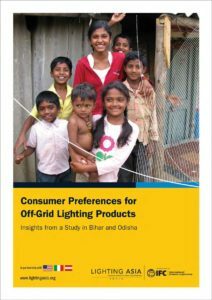 For more details on the Lighting Asia/India country programs, please go to http://lightingasia.org/India/.